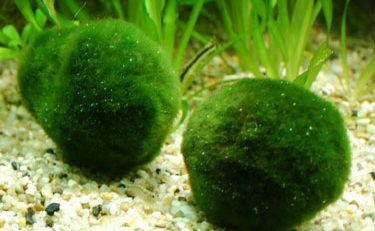 The Marimo Moss Ball is a beautiful spherical algae ball, originating in Japan, that is highly sought after by many due to its natural shape and historical significance. It is a member of the Cladophoraceae family of algae, and goes by the Latin name Aegagropila linnaei. They are considered to be a national treasure in their country of origin after having been discovered in the early 1900s. 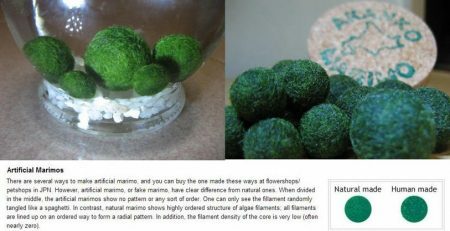 Marimo Balls are appealing to people all over the world, mainly because they are relatively easy to care for and can easily be propagated. Their growth rate, in general, tends to be very slow, but their life span is long, with records showing some to have lived nearly an entire century. 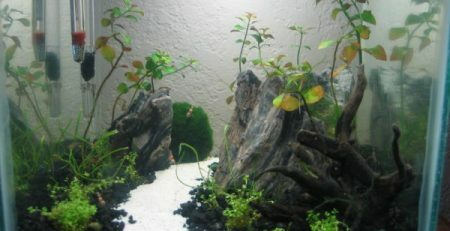 Marimo Moss Balls are usually kept in jars or tanks, and require little to no plant care expertise. 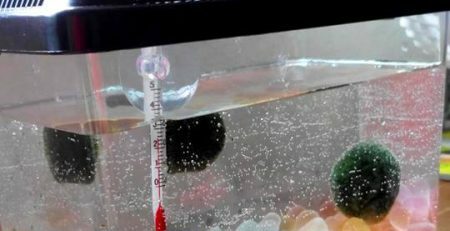 These balls will sink in water as a response to light, and when they are on the bottom of their tank, they roll around. 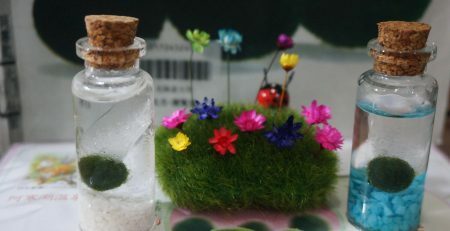 Many mistake the Marimo with an animal, and this actually adds to its appeal. 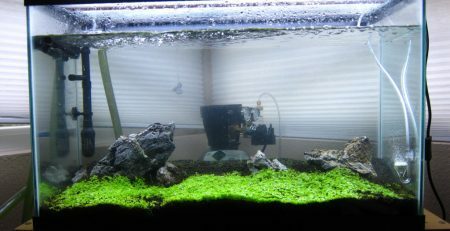 Marimo Balls generally do best in a 68 and 82 degrees, and their light requirements are low. They can easily be grown in a jar, a tank, or even a fish bowl, but should avoid direct sunlight, as they can burn. 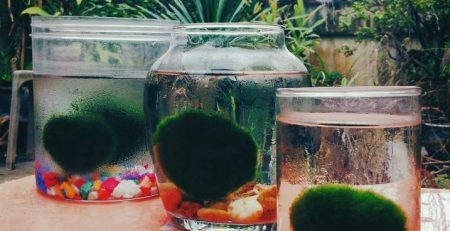 It’s important to keep the Marimo Ball floating when possible, so regularly squeezing out some of its water intake to allow it to float until the next time it sinks is probably a good idea. They really require very little care in general, and are great for people just beginning to jump into plant breeding. 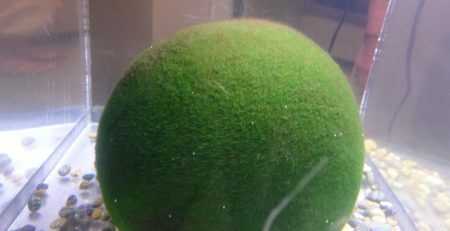 Growing your own indoor colony of Marimo Moss Balls is not a difficult task at all, but definitely requires your full attention. The process comes down to splitting your moss ball. Splitting is really the only way that a moss ball can propagate, and while it may be nerve-wracking to take a pair of scissors to this beautiful plant, don’t be afraid. The best and most effective way to do this is to take your moss ball, gently squeeze the excess water out of it, and cut it in half down the middle. Take each of these halves and, again, cut them in half. You could keep the number of cut portions down to four at this point, but if you’d prefer, cutting them down by half again to create eight portions is totally acceptable. The next step has been tested and proven successful by many, so doing it the correct way is important. Get yourself some sewing thread and wrap each portion in the thread, so to create as close to the ball shape as possible. Once each portion is tied, place them back in the water and let the magic happen! 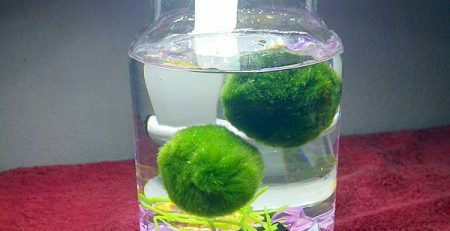 Make sure that you regularly rotate your multiplied Marimo Moss Balls so that every side is being exposed to the light, otherwise they won’t grow correctly. Now, these are known to grow at a very slow rate, but getting to watch this process take place before your eyes can be exciting. 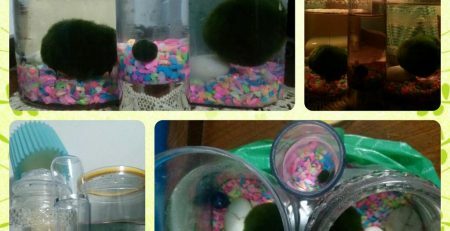 Before you know it, you’ll have your own colony of Marimo Moss Balls!